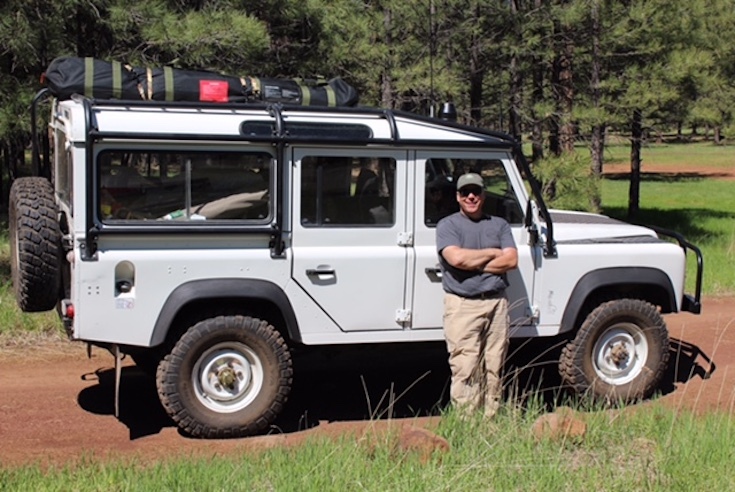 Since joining AZLRO, John has participated in Bill Burke’s Trail Leader training, received his Wilderness First Aid Certification, is an active AZLRO Trail Leader and was involved with the planning of the most recent WNLRR in Sedona.He has also been an enthusiastic sponsor of several AZLRO events. 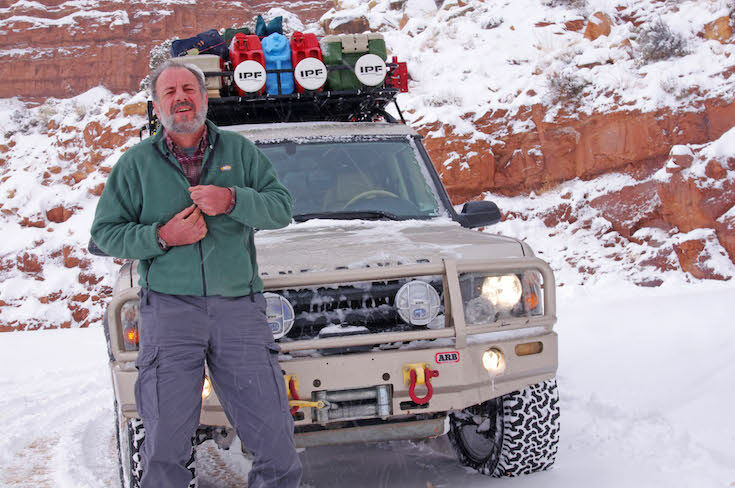 John is very interested in joining the AZLRO council for many reasons.He wants to help contribute to the incredible legacy that the club has as being one of the most active and involved Land Rover Clubs in the country. As an innovator and marketer, John believes he can bring fresh thinking, help grow the membership base and fortify the solid leadership team that is currently in place. AZLRO played such an important role in helping John and his family transition into the Phoenix area – meeting many remarkable club members and creating a community of close friends. John wants to give back his time to the club that has given so much to him. My name is Andrew Garcia, a true Arizonian. I am a Journeyman Electrician in the IBEW Local 640. When I was 17 I had an SRT-4 into the racing scene, which became old quick. Then I found 4LOW! 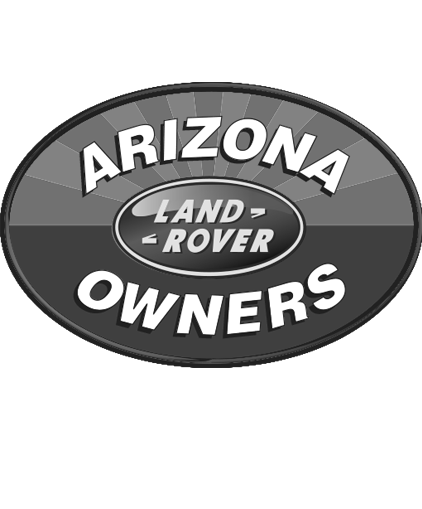 By 19 in 2009 I bought my first Land Rover, a 1999 D2 and joined AZLRO soon after and loved it. My first trail was Crown King with Pierre and John. My love for oil leaks and wrenching grew last September, I bought a 1988 RHD Defender 90. I have attended all the rallies and many trail events and now it’s time I give back to all the fun. You will always see me on the trail with my best Co-Driver Elda, she has been with me riding shotgun since the first trail. I would love to be fully involved in council and learn the ropes from all the AZLRO greats . While not presently a Land Rover owner, I miss both my D90 and RRC, and currently drive a Gwagen for my offroading adventures. 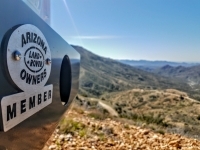 A club member since 1998, I've also run the club's web site ever since when I moved to Arizona, and been heavily involved with the club ever since. Besides designing and running the web site all those years (we're on the 4th version), I've also had the pleasure of designing Rally logos, hats, t-shirts, and stickers for the club; I've been lucky enough to help organize Rallies, the Gila Challenge, and the Western National Land Rover Rally. 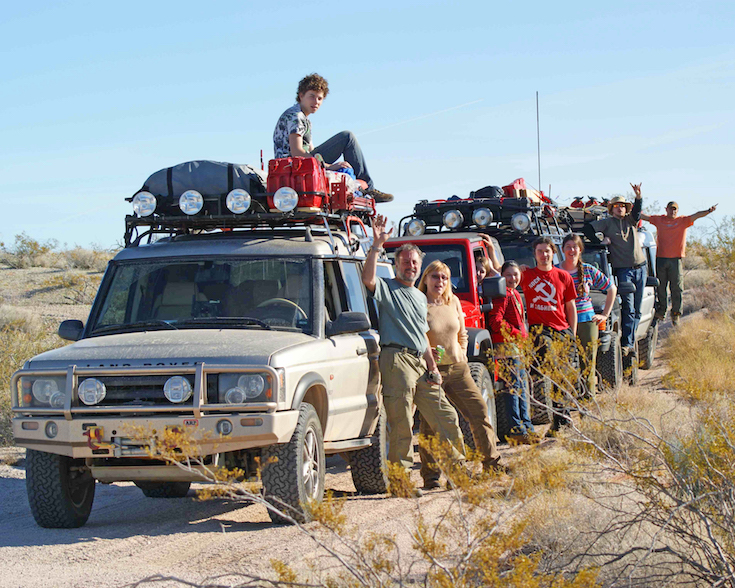 I've also had the priviledge to attend our club-sponsored Bill Burke Trail Leader Training along with several other club-sponsored Bill Burke events, which always teach me something and allow me to make new Land Rover friends. As webmaster, I receive a lot of member feedback regarding all topics, and would like to be able to continue to give that feedback more of a voice in the council. It would be a priviledge to continue my role on the council. Originally from Eastern Canada, I grew up exploring the outdoors as a camping, hunting and fishing enthusiast. Searching for the next great hunting or fishing hole, the vast network of logging roads provided perfect setting to develop my off-roading skills in my family sedan. Yes, I learned to drive dirt roads in my dad's 1975 Oldsmobile cutlass. 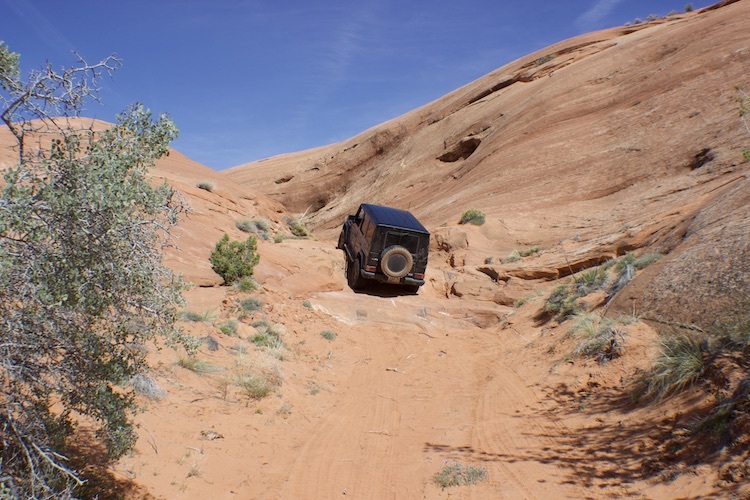 Eventually I was able to save up some money and buy my own 4x4, a 1980 Suzuki samurai that I used to traverse much more challenging terrain, and later graduated to a 1992 Isuzu trooper. 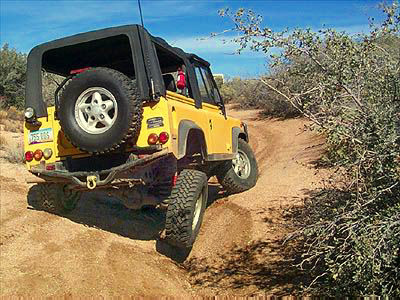 After relocating to Arizona in 1994 without a 4x4, the lure of an off-roading vehicle led me to buy a Jeep Wrangler Soft Top in 1995. I explored some of Arizona's finest back roads until I decided to upgrade to a Jeep Grand Cherokee 6 months later. Many camping trips and adventures followed until a family arrived and this activity took a back seat to minivans and pickup trucks. So what is a new father to do? I swiftly followed my co-workers suggestion and bought a new 1998 Honda XR400 dirt bike and spent the next 5 years exploring much more of Arizona than I ever expected with bi-monthly trips. My very understanding wife put up with this idea until our second child arrived, and the motorcycle was sold. In 2005, the lure to get out camping again with our young family took my wife and mine's dream of owning a land rover to reality and we picked up a slightly used 2002 Discovery that I still own today. After several interesting day trips and fewer camping trips, I met up with a fellow LR owner in the neighborhood who had a similar disco that was decently built up for off-roading and he had an AZLRO sticker on his. I asked about the club and he told me to go out to the club web site to check it out.. I resisted for a while but eventually joined AZLRO just before the first rally I attended in 2008. I was drawn to the group instantly and loved the enthusiasm of the club. I have since become more and more involved, eventually leading to being trail master and trail leader, and eventually a council member for the past couple of years. In 2015, my discovery had a fatal engine failure and has been sidelined for 2 years. Panicked, I picked up a 1987 Range Rover classic as a stop gap until I figured out what to do. Well, almost 2 years later, I decided to have the engine rebuilt and I can say that in April 2017 the rebuild is almost complete. I will enjoy both Land Rovers until things change. I really enjoy meeting new members, and watching people grow with the club. Our events are world class and I'm quite proud to be part of such an amazing group of outdoor enthusiasts. 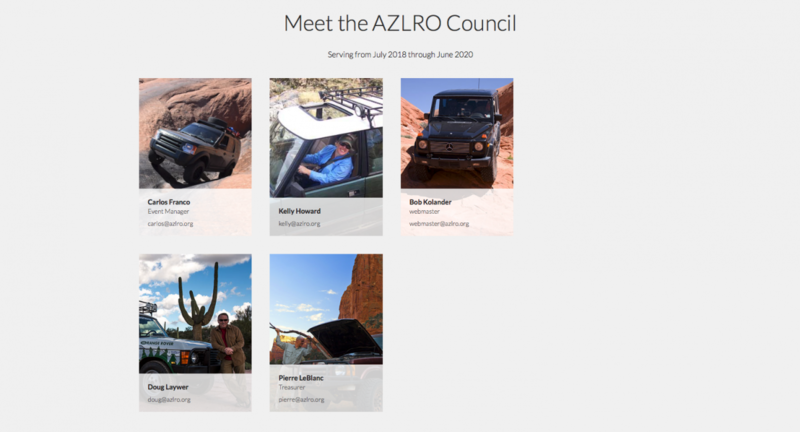 I have been a member of the AZLRO since March 2006 when I bought my 2003 Discovery II. I have attended, supported and helped with all the AZLRO Land Rover Rallies and also attended all the training classes that have been held by the AZLRO. I have been a certified Trail Leader since its inception and am also happy to be a Tail Gunner. On the trail I have Ham Radio (KE7TPI), CB radio and FRS radio. 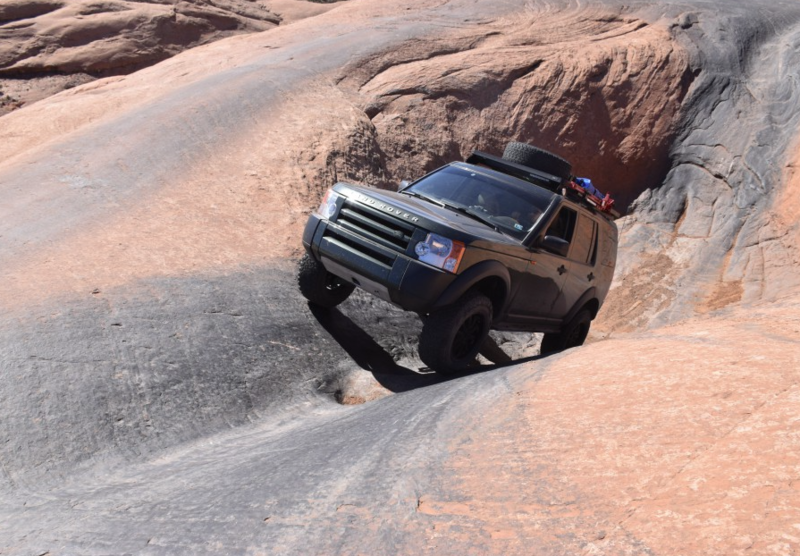 I have enjoyed numerous multi-day camping trips and some of the most memorable adventures have been: Baja, Mojave Road (3 times), Pismo Beach, Turkey Creek, Hole-In-The-Rock (3 times), Monument Valley, the Arizona Strip, Canyon De Chelley and Trans-Utah (2 times). I organized and led the team that put on the "Gila Challenge." I have served on the council previously and feel that it is time to volunteer again. My name is Dave Smith and I am once again running to represent you on the AZLRO council. 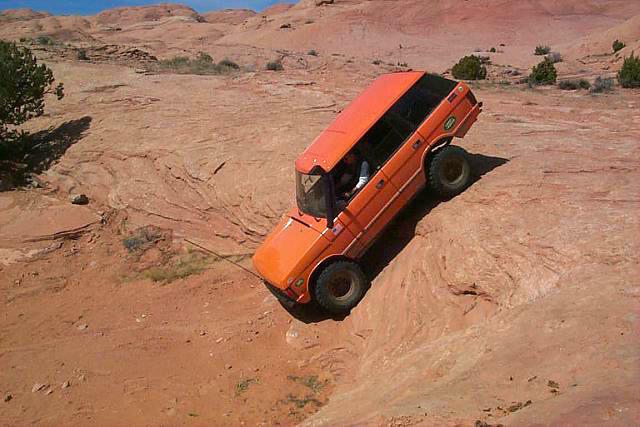 I have been an active off-roader since I turned 16 and bought my first 4x4, a Jeep CJ-7. 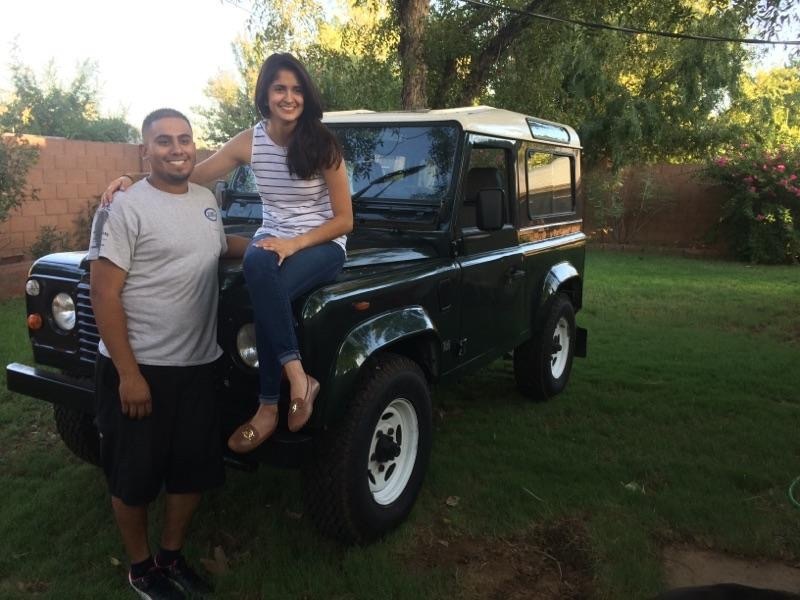 I have owned several Jeeps, 4x4 Toyotas and in 2000 I purchased my first Land Rover. It was love at first sight and I have been hooked ever since. I went from purchasing a Disco 2 to a NAS 90 to an ExMod 90. I currently own a ROW 110 that I’m in the middle of prepping for future multiple overland journeys. My intentions are to keep our great club going strong by maintaining the current quality of events, club trips, activities and to continue introducing new family friendly events. It would be an honor to continue serving on the council and I hope that you consider me when you cast your vote.